Gorey Stories is a compilation of stories, poems and limericks – a neo-gothic vision of the world as dark, mysterious, and yet simultaneously hilarious. In the mix are unusual creatures, curious landscapes, insanity, religious fanaticism, murder, catchy tunes and a deep appreciation for all of the arts. The dark but playful material has the occassional bit of entendre and is certainly darkly sardonic, but the amusing results are suitable for those who already love Lemony Snicket or the worlds of Tim Burton. 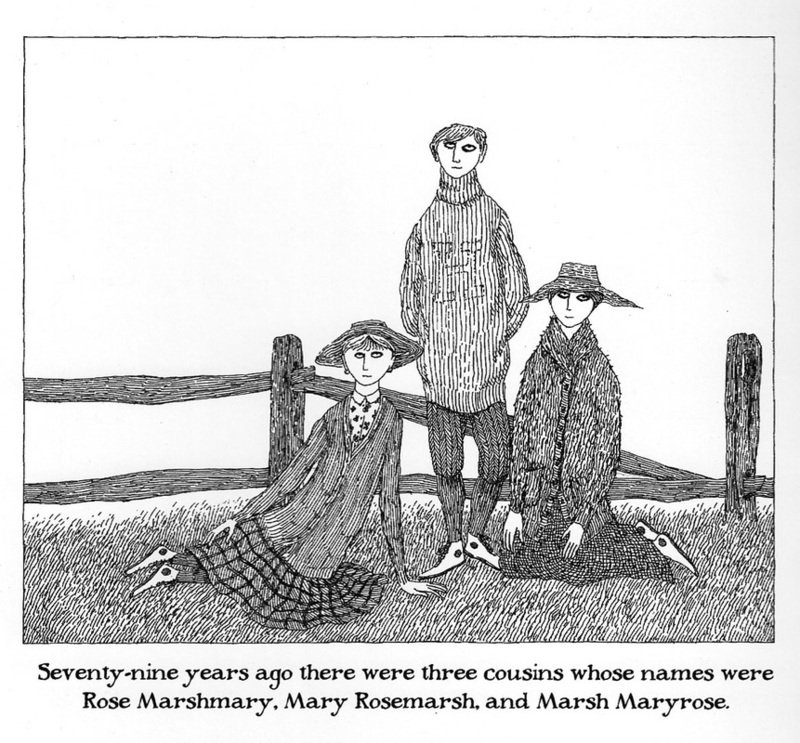 ABOUT EDWARD GOREY The late Edward Gorey (d. 2000) illustrated and wrote short stories, poems, prose and plays based in an eerie and macabre world full of odd characters (often children) that experience strange fates and mysterious demises. Among his best-known works are dark delights like The Gashleycrumb Tinies, The Hapless Child and the titillating tale The Curious Sofa. His illustrations resemble Victorian-era woodcut drawings with a bit of Goya, Aubrey Beardsley and Charles Addams thrown in for good measure. His illustrations were animated for the introduction to the PBS show Mystery!, and he provided production design for popular Broadway productions such as Dracula (for which he won a Tony for Best Costumes). He also illustrated T.S. Eliot’s Old Possum’s Book of Practical Cats, the basis for the musical CATS. Most are not aware that Gorey was ever responsible for a musical, and that’s due to the fact that it closed the same night it opened – Oct. 31, 1978. Around the turn of the century, the play found a second life in black-box theaters who have concentrated on the unique storytelling and the brilliant characters in a more intimate environment. 9:30 Saugus "Vanya & Sonya & Masha & Spike"
10:30 North Reading "Gorey Stories"
1:30 Sizer School "Circle Mirror Transformation"
We will take a bus on Thursday, March 31 and Friday April 1. 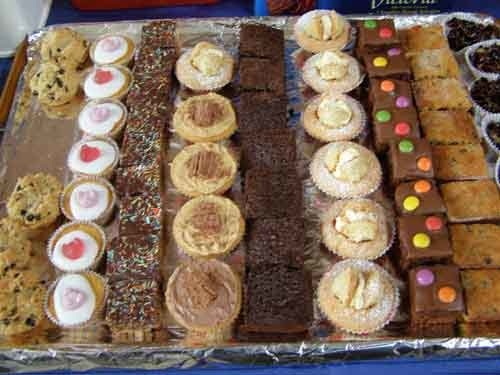 This will be paid for through the funds we raise Wednesday, March 30. So no out of pocket cost. If we don't have enough drivers for Saturday, we will need to take a bus and there might be cost. Please fill in the permission slip and return it no later than Monday, March 28. 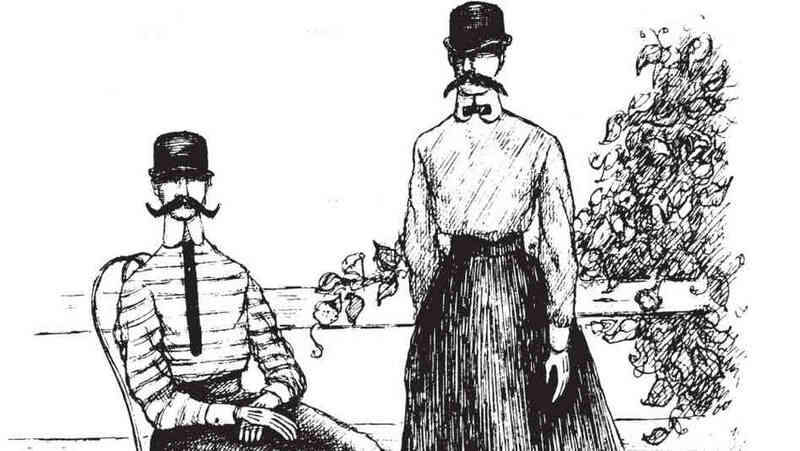 ​The somewhat autobiographical look at one of Edward Gorey’s works, THE UNDSTRUNG HARP, is a look at the literary life and its 'attendant woes: isolation, writer's block, professional jealousy, and plain boredom.' 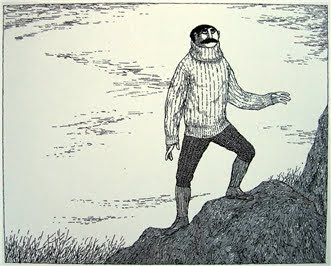 But as with all of Edward Gorey's books, TUH is also about life in general, with its anguish, turnips, conjunctions, illness, defeat, string, parties, no parties, desuetude, fever, tides, labels, mourning, elsewards. 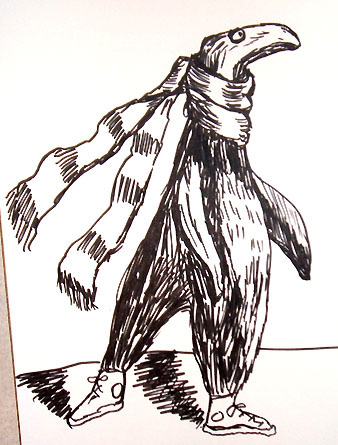 Finally, TUH is about Edward Gorey the writer, about Edward Gorey writing THE UNSTRUNG HARP. Each story is woven throughout Earbrass’ (Jason Glenn) mind brings more and more obscure and Macabre-madcap murder to the forefront with an ingeniously absurd and loose plot. 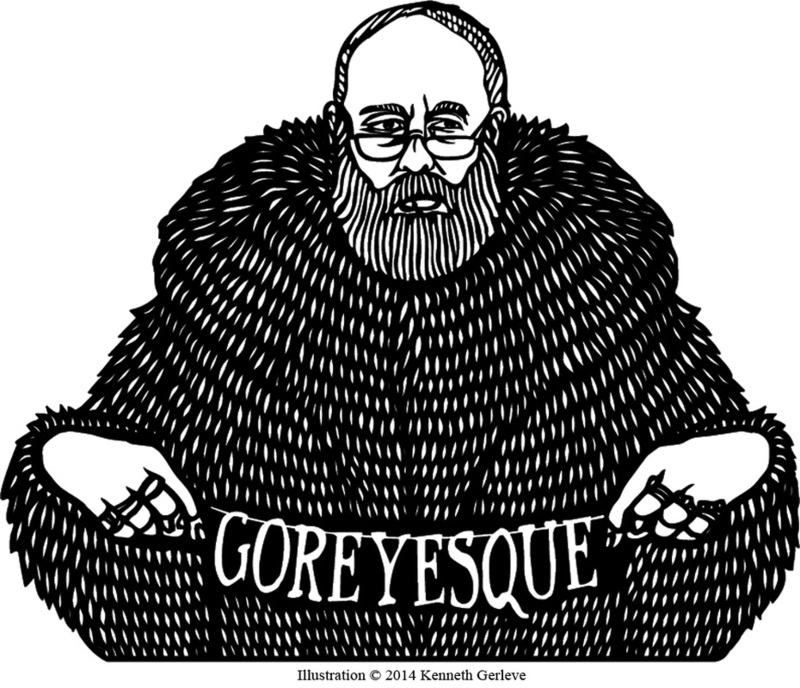 Edward Gorey that his stories are written as pure entertainment and that “reading anything else into it is absurd”. It forces the reader to fill in the blanks with their own imagination. The characters are all encompassing parts of the author’s imagination as Earbrass becomes whatever the moment calls for. Dressed in Edwardian-steam-punk style, characters can be lascivious or pathetic, angry and then cloyingly manipulative, rational and then arbitrary, frail and then spry, all conscious choices designed for the greatest benefit. Our set designed was headed by Colleen O’Brien and the Advanced Technical Theatre class; they envisioned a world where the author’s thoughts were a mini stage where his stories and ideas played themselves out. It suggests reality, refers to reality but never tries to be absolutely realistic. 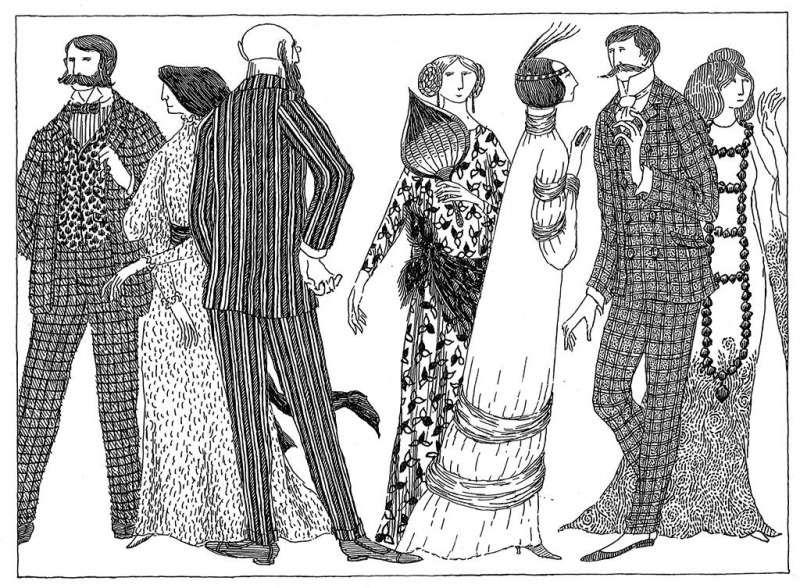 Inspired by Edward Gorey’s own drawings, each scene and each character became three dimensional and took on their own individual path. If it’s escapism you’re out for, then this production has all the elements of fun. It’s a bloody good time. All you can eat chinese buffet - including vegetarian & gluten free options. DInner is $5 per half pizza. The pizza is small-ish (bar size) and gormet from Cape Cod Cafe. We will take a bus on Wednesday, March 16. This is paid through the funds we raised hosting Dramafest so no out of pocket cost. Please fill in the permission slip and return it by Monday, March 7. 9:00 North Reading - "Gorey Stories"
11:15 North Andover "Woman and Wallace"
12:15 Woburn " Adagio and the Death of Love"
2:00 Austin Prep " Indoor/Outdoor"
3:00 Pope John XXIII - " The Yellow Boat"
4:30 Peabody - "The Long Christmas Ride Home"
5:30 Clark School - "American Passes"
METG requires all students to register their medical information via family id. 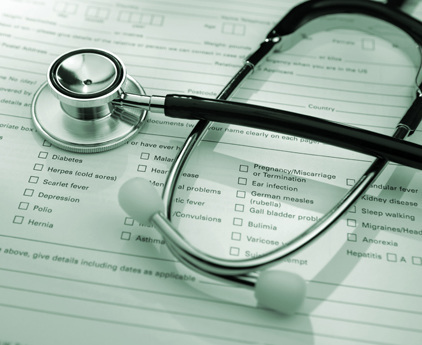 Please click the link below and fill in all necessary information.